This level has hard difficulty. 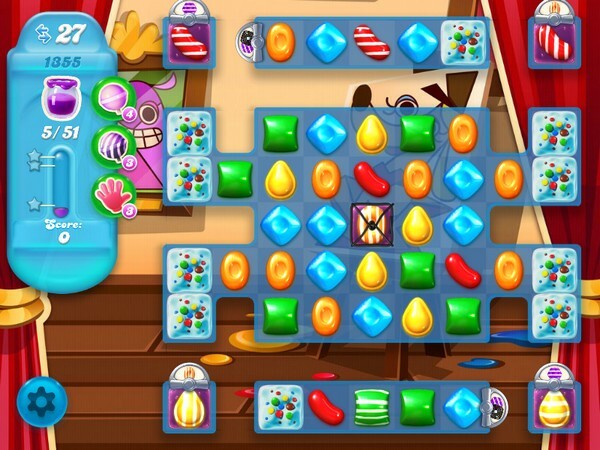 For this level try to play from middle part of the board to shuffle the candies. Make special candy as you get the chance and combine them with each other to spread more jam. Or play near to jam to spread them to near candies. You are showing 40 moves to my 30. Help. My level 1356 in Candy Crush Soda is to get one bear above the string. Can I change it to Spread the Jam shown above as CC Soda level 1356?